The GSAT satellites are India's indigenous satellites used for digital audio, data and video broadcasting, built by the Indian Space Research Organisation (ISRO). ISRO has confirmed that its latest satellite, GSAT-18 has now been inducted into the INSAT/GSAT system. 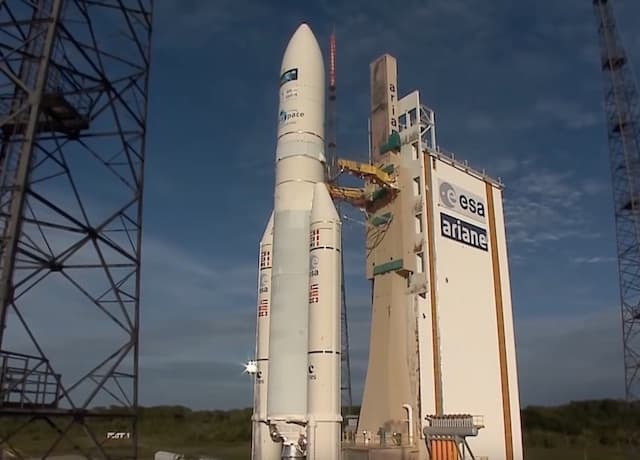 The satellite was put up into the orbit using Ariane-5 VA-231 rocket from French company Arianespace. The satellite is equipped with 48 communication transponders designed to provide services in the normal C-Band, upper extended C-band and Ku-bands. After the GSAT-18 was put into its Geosynchronous Transfer Orbit aka GTO, ISRO's Master Control Facility took the charge and performed the initial orbit raising maneuvers. The Liquid Apogee Motor was used to put the satellite in its Geostationary Orbit. The GSAT-18 has a lifespan of about 15 years. It will be a part of the Indian National Satellite (INSAT) system which was established back in 1983. INSAT continues to be one of the largest domestic communication system in the APAC region. The next satellite, GSAT-19E is expected to be put into service by December this year.